While learning how to cook, our students develop a sound understanding about food and the important role it plays in a full and healthy life. We encourage students to be independent learners, creative thinkers and team workers throughout their studies. But it is just as important to enjoy the subject. Instilling a love of ingredients which ultimately results in that perfect dish, gives so much pleasure. Each year group works through different modules to enhance their understanding of all areas of food technology from food provenance, to nutrition, advertising and food science. The classes study Food Technology for half an academic year, the forms splitting into two halves to have small intimate practical units. 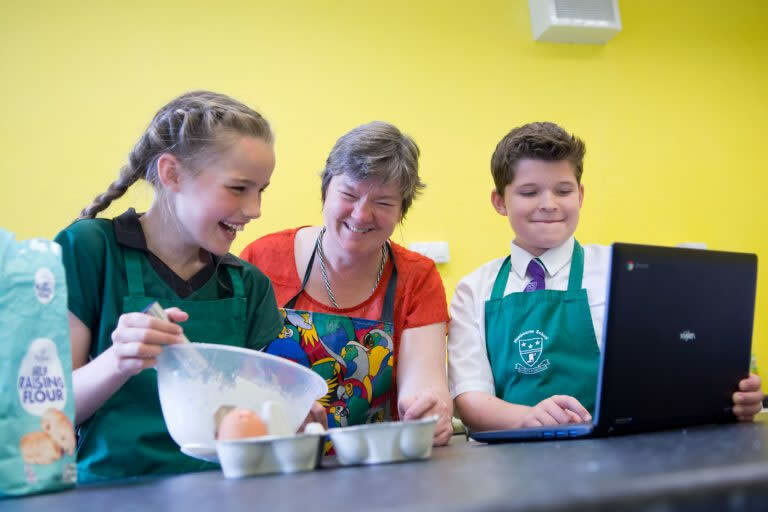 Generally, we have a nutrition lesson followed by a food science/ demonstration session then two practical lessons developing skills and progression before moving onto the next unit. Towards the end of the course, the groups are given an investigative task to complete and then they have to choose practical activities to support their investigations. This style of teaching and learning eases the pupils into the GCSE course, AQA Food Preparation and Nutrition. We organise visits to the markets and international food shops, local artisan bakers, local farms and food producers. We also invite speakers and demonstrators into school to show the students their skills. 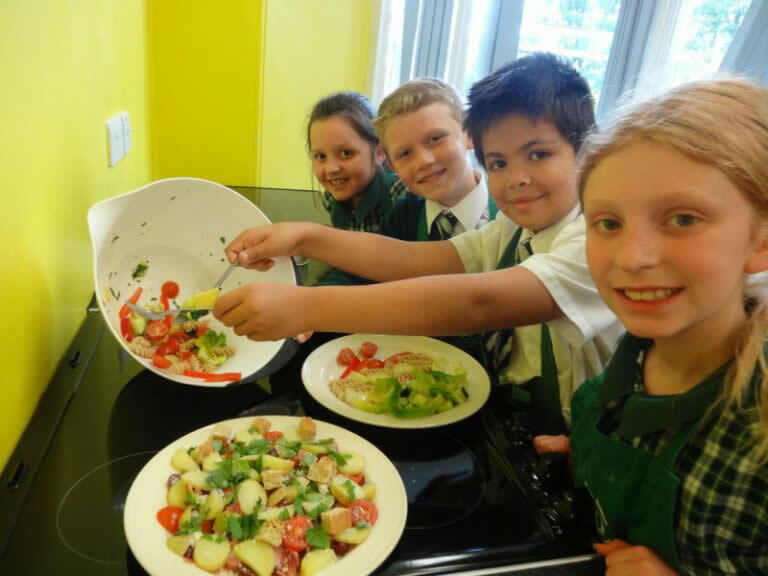 An offshoot of this very exciting course are the Summer and Easter cookery schools, where children come and cook three course meals based on a theme or a particular country.